Huh Gak Thrills with Saw-Inspired MV for "Already Winter"
If you have listened to Huh Gak at least once, you’ll know that he has a way of making anyone feel all the appropriately sad feelings with his mostly melancholic ballads. Huh Gak’s “Already Winter” (which he collaborated with VROMANCE on) is no different from his earlier songs as it’s mostly composed of his signature vocals complemented by some really somber and sentimental piano lines. Music aside, the real stunner of Huh Gak’s “Already Winter” is definitely the music video. As we all probably know, Huh Gak has had a pretty interesting reputation when it comes to his music videos. The very lengthy music video for “Whenever You Play That Song” spans an incredible eleven minutes, which is actually quite understandable considering how it has a legitimate narrative that involves an intense police chase. “I Can Only Say I Want to Die” also had a really dramatic music video that consisted of a very over-the-top fight scene. 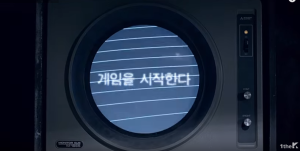 Hence, in a way, the accompanying music video for Huh Gak’s latest track really shouldn’t surprise anyone anymore. Unless, of course, his music video just happened to be inspired by the horror-thriller Saw, then maybe it’s only appropriate for anyone to be at least vaguely overwhelmed by the events that transpired in the MV. The music video welcomes us with a charming couple, one-half of which is FT Island’s leader and lead guitarist, Choi Jong-hoon. Jong-hoon and his on-screen girlfriend are the very embodiment of the lush and luxurious in the Korean dating landscape: physically attractive, decked out in designer coats, adorably gazing at each other’s eyes as they do some leisurely shopping, and of course there’s the appropriate choding moments that can give the loneliest soul a piercing feeling of bitterness and envy. Fast forward to when they were in the car, as Jong-hoon slips out to buy coffee, his girlfriend is suddenly kidnapped by a mysterious figure in black, and of course when Jong-hoon returns he is shocked to see that his girlfriend has gone missing. Soon enough, Jong-hoon himself gets kidnapped by the same man. The video later on transports us to a secret lair in which Jong-hoon and his girlfriend are placed inside a glass case only to be separated by this weird barrier made out of plexiglass and wire meshing. A television set placed in one corner of the room flashes to life and in total Saw fashion, it flicks to static and reiterates instructions which the two must follow: the two will have to play kai bai bo in which the loser will have to die. However if they tie, then both of them will die. The rest is pretty much history as Jong-hoon gets shot in the leg after he throws a temper tantrum — who wouldn’t? — and soon proceeds to acting like he just got shot in the gut. Eventually, the two comply and they have decided to both die. However the girl doesn’t go with the plan and sacrifices her life for Jong-hoon. She gets shot and Jong-hoon is left bloody, devastated, and most likely traumatized. Now before analyzing what went down in the MV’s storyline, let’s take a look at the technicalities of this music video. First of all, there’s no doubt about it that the video was shot quite beautifully. It evoked that right kind of romantic, winter vibe at the beginning and it’s mostly because of the bright yet muted color tones of the much earlier scenes. Even when the music video transitioned to a darker and grittier setting, it was still rather aesthetically pleasing. It’s good to note that with the change of tone and mood in the video, there was also a change in the way the cinematographer treated the latter scenes. Compared to the romantic and slo-mo vibe of the earlier scenes, the later ones were much more shaky and evoked a suspenseful feel to the video. While the first few sequences had lesser cuts and smoother transitions, the part when the two were already in the lair had faster and sharper cuts, elements which thriller and horror filmmakers would use to heighten anxiety among the audience. Moving on to the most-awaited part of the music video — the plot. Offhand, we can tell that the plot is first and foremost not in any way related to the song. “Already Winter” is supposed to be a track about break-ups and parting ways. Although the relevance of the video to the song might be accounted for at the very end when the girl dies, it still doesn’t make sense why something so intensely gritty and sadistic should be used as the accompanying music video for a song that would probably create images of a lonely man crying alone in his room as he peruses an old album full of memories of his recently concluded relationship. Yup. That as a music video would have definitely sufficed. However, there is definitely much to be said about the couple’s acting in this music video. Jong-hoon is not only an amazing guitarist apparently, but he is also a promising actor. His co-star is pretty on-point as well and if it weren’t for the overall ridiculous plot of the music video, their acting chops could have been taken a lot more seriously. Alas, the music video was just off and that served to impede on both the talents’ acting credibilities. Oddly enough, one really can’t help but think that such dramatic and exaggerated music videos are simply a Huh Gak staple, that Huh Gak music videos is to over-the-top drama as hot weather is to ice cream. It’s hard to imagine one without the other and it’s a lot more convenient and satisfying for both elements to be together. So while the music video might have left some — or a lot — of people confused — or amused — there’s no denying that with every Huh Gak MV, there’s always some element of surprise to look forward to.